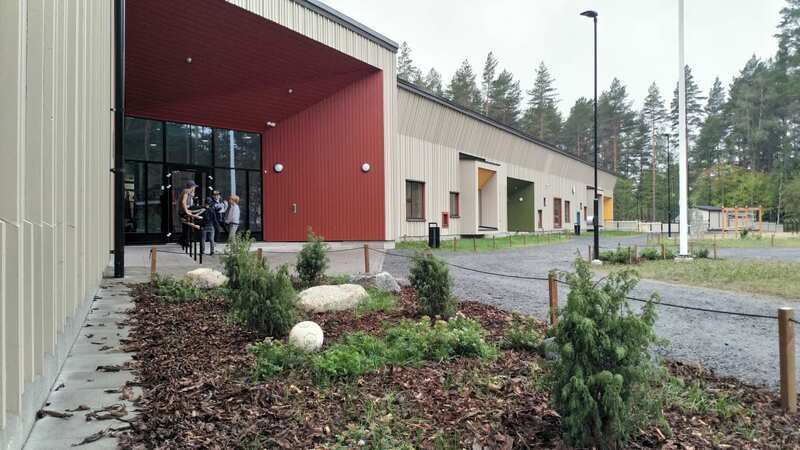 also in the new Satavuo eco-school in Laukaa, Finland, for the first time. In addition to HOISKO CLT solid wood walls, the materials and services for the school have been chosen to implement the greener perspective, from local food and solar paneling to low emission transportation. The school is planned to serve hundred pupils for hundred years. By a precise planning it is possible to reach healthier and more cost-effective way to construct with cross laminated timber than with more traditional ways. The combined school and day care center was the first larger building after the opening of the HOISKO factory in the spring 2017. Other larger buildings made of HOISKO CLT are e.g. Hukanhauta day care center in Joensuu, therapeutic apartments in Alajärvi and in Lapua, Vaasa Innovation Center and a wooden multi-storey house Konsulintorni in Kirkkonummi. HOISKO is a strong actor also in the construction fields of sports centers and housing.